Akwa Ibom State College of Education Recruitment 2017 | Application Guide and Requirements. 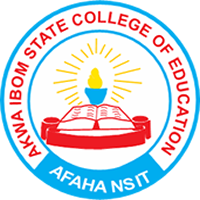 Akwa Ibom State College of Education Recruitment 2017….. Akwa Ibom State College of Education, Afaha Nsit was established on 11th October, 1990 by the Military Governor, Wing Commander Idongesit Okon Nkanga. Application Deadline: 27th September, 2017.